All of the free content from the BBC iPlayer , Channel 4 Watch Online , ITV Player and Five Demand are made available within one single interface, along with additional plugins for TV programs from all over the world, such as US, Australia and New Zealand. Live streaming is also available for ITV and BBC. Note, since live streaming is a form of broadcasting, legally you must own a TV license to watch that content. For extender users there are some limitations due to extenders not supporting the flash format that almost all providers now use. Like the software? Want to help to fund maintenance and development? The best way to do that is to buy a license for TunerFreeMCE, which you can do directly within the application. Go to preferences to buy a license. If you have already bought a license and want to contribute more, or you want to make a contribution without buying a license, you can send a donation instead. All donations are welcome, no matter how small. Just click here to donate securely via PayPal. Having problems? Instructions are here , and check out the FAQ . TunerFreeMCE UK content only plays to people in the UK, and US content only plays to people in the US, and so on. Underneath it still uses the original web sites to get the data – it just displays it in an MCE interface, so all content and DRM restrictions still apply. If you want to play content from another country, you will need to get a VPN connection to shift your IP address to another country. See here for details. You can try out the application before purchasing to make sure it meets your needs. However, if you are unhappy with your purchase, let us know within 60 days and we’ll cancel your license and refund you in full. 5.8.7a Fixed a problem with the installer. 5.8.7 Added an option for plugins to not cache data. 5.8.6 Added an option to go to full screen overlay on sites (where supported) for lower power graphics cards that can benefit from this. 5.8.3 Fixed an issue with ITV parsing. 5.8.2 Fixed an issue with ITV parsing. 5.8.1 Made sure that cookies are cached. 5.8.0 Update to the player to avoid issues with Internet Explorer. Requires .NET 4.0. 5.7.7 Added a workaround for non-HD screens playing BBC programs. 5.7.6 Resolved scaling issues with IE8 and IE9. Made the window opening and closing faster. 5.7.3 Worked round new IE10 bugs. 5.7.2 Fixed a problem with high network usage in the background process. 5.7.0 Complete re-write of the way channels and plugins work to make all channels work the same. There is now no distinction between a plugin and channel, and the preferences pages have been updated to reflect this. Problems with several channels, especially ITV, have been resolved as part of this work. 5.6.3 Allowed new login pages for ITV to work. 5.6.2 Updated for new ITV pages. 5.6.1 Fixed a problem with getting Hulu content. Fixed a problem with getting C4 content when not running in UK English. 5.6.0 Fixed a problem with getting Hulu content. Added the ability to choose to play SD or HD feeds for BBC programs. 5.5.8 Fixed a problem with the player when the regional preferences have a comma for the decimal separator. Added a new plugin model for improved parsing. 5.5.6 Fixed a problem with running on a secondary monitor. Fixed a problem with plugins that stop working. 5.5.5 Fixed an issue with play/pause also playing in media center. Fixed a problem with not being able to turn off BBC radio. 5.5.4 Added loading countdown and tweaked ITV live. 5.5.3 Better handling of remote control when in full screen. 5.5.2 Tweaks to the keyboard handling when playing video. 5.5.1 Changed the default to minimize media center when playing. 5.5.0 Changed to a new way of playing web video. 5.0.8 Fixed a problem with background updating not working. 5.0.7 Fixed a problem with high CPU usage on systems which have not yet opened TunerFreeMCE. 5.0.6 Fixed a problem with playing Hulu. Stopped repeated saving of preferences in the background service. 5.0.3 Fixed a problem with Live TV not working. 5.0.2 New and improved UI. 4.4.8 Improved screen reader support. Added workaround for 4OD plugin. 4.4.7 Changed BBC 7 to Radio 4 Extra. 4.4.5 Fixed a problem with the remote locking up. 4.4.3 Changed the way licenses work so that they also apply to extenders. 4.4.2 Fixed a potential issue with the cache updating. Improved the way the auto-clicks work. 4.4.1 Fixed a branding issue. 4.4.0 Fixed a problem with the latest BBC content. Fixed a problem with BBC Radio not playing. Allowed users to buy a license and optionally skip messages on launching the program. 4.3.4 Fixed a problem with the latest BBC content. 4.3.3 Fixed a problem with version numbers. 4.3.2 Fixed a bug with the auto upgrader showing a blank screen. 4.3.1 Updated to support the new Demand Five site. 4.2.0 Added BBC HD as a standalone channel. Added support for plugins to run their own parsers. 4.0.4 Fixed a bug in 4.0.3 with the background app crashing. 4.0.3 Updated search to look at program descriptions and episode names. Fixed bug with plugin click positions. Corrected BBC playing for low resolution displays. 4.0.2 Fixed a problem with Back not exiting. Added a cancel download button. 4.0.1 Fixed a problem with Hulu parsing. Fixed a problem with playing BBC flash as a backup to wmv. 4.0.0 NOTE from version 4, only Windows 7 is supported. 3.8.2 Fixed a problem with plugin content not displaying any more. 3.8.1 Added radio icons from Chris Kent. Thanks Chris. Improved performance of caching code. 3.8.0 Fixed a problem with parsing some very large feeds. 3.7.10 Fixed a bug introduced in 3.7.9 that stopped BBC radio programs from playing. Stopped caching as part of install – now runs on first opening. Fixed problems with Five caching. 3.7.7 Updated for new C4 streams. 3.7.6 Re-enabled BBC wmv streams. Allowed for better update installs in future. 3.7.4 Update for yet another MSN format change. 3.7.3 Updated the BBC HD checker to keep in step with BBC changes. Removed the broken download button since wmv downloads are no longer available. 3.7.2 Changed the BBC default to flash because the BBC have removed the WMV streams. 3.7.1 Fixed a scroller issue. 3.7.0 Added TunerFreeMCE to the main menu in Windows 7. 3.6.2 Updated for new MSN feeds. 3.6.1 Fixed audio prompt for checkboxes. 3.6.0 Added accessibility support, and added BBC Audio Described and Signed programs. Updated all live radio feed URLs. Note, the URLs can be slow to start – bear with it. 3.5.0 Expanded capabilities for plugin developers. Stopped other audio/video playing when going to a flash page. 3.4.1 Switch BBC programs to flash if WMV is not available. 3.4.0 Added an option to allow BBC TV Programs to be streamed in WMV instead of Flash. See the note above about DRM if you have problems. 3.3.4 Update for new ITV pages. 3.3.3 Allowed for slow MSN home page when parsing. 3.3.2 Move live ITV streams to Flash. 3.3.1 Added a missing file for playing Hulu content. 3.3.0 Updated the parsing of ITV feeds to cope with new format. 3.2.0 Updated to support the new ITV Flash programs. Fixed an issue where the wrong episode of a Five program would be played. Correctly sorted MSN Video episodes. Finally got the download button working correctly on extenders for BBC programs. 3.1.3 Fixed a problem with an error message displaying when returning from watching a Hulu program. Moved the Help button to the start page. 3.1.2 Fixed a problem with going full screen on BBC HD programs on non-standard resolutions. 3.1.1 Fixed a problem with MSN parsing crashing with the latest web site format. 3.1.0 Added support for MSN Video player in the UK. NOTE: the automatic upgrade still isn’t working as expected. You will be prompted to download and upgrade to this version when you run an older version. Do the download, but when the installer starts, hit Cancel. Then exit media center and uninstall the old version then install the new version. If you don’t do this, TunerFree won’t work right. Sorry. When the next version is available, it won’t try to automatically upgrade, because obviously I haven’t got it right yet. 3.0.4 Fixed an issue with BBC radio no longer playing. NOTE: The auto upgrade feature released with 3.0.3 doesn’t work quite as well as hoped. Unless you have the 3.0.3 installer in your user’s Downloads folder, it will fail to upgrade, and even if you do, it will not update the cache. This should get resolved in future. For now, either make sure you have 3.0.3 in your Download folder (e.g. C:/Users/Martin/Downloads), or uninstall the old version and reinstall the new version from the Downloads folder, and leave it there for next time. 3.0.3 Added a new mode of playing BBC programs for low resolution displays. Changed the automatic version checker to download and install the update in one step. 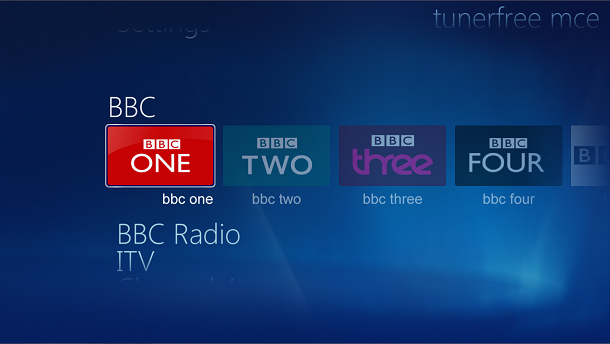 3.0.2 Fixed download of BBC programs. 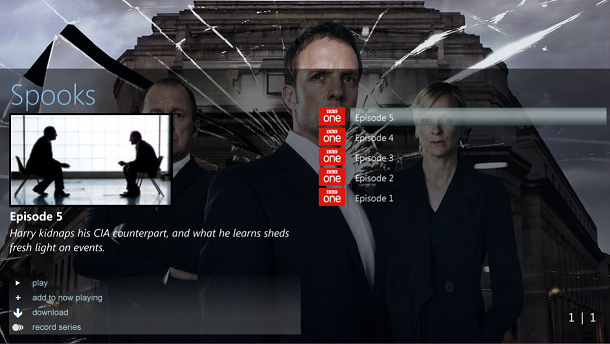 Added an HD logo to indicate which individual episodes of BBC programs are in HD. Fixed a bug with a popup appearing complaining about being unable to connect to a web page. 3.0.0 Added support for plugins . 2.8.3 Updated for the latest Hulu compatability. 2.8.2 Fixed an issue with BBC programs not being cleaned up. Added an deactivate twitter button for those embarrased to admit how much TV they watch . 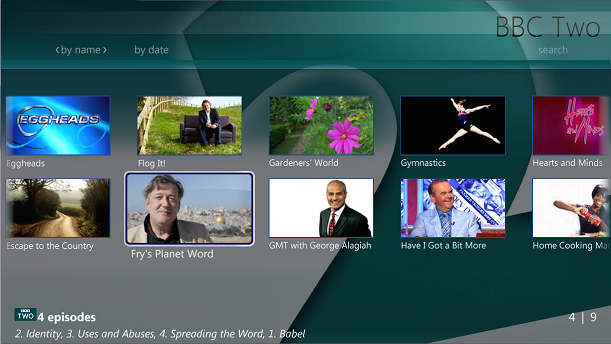 2.8.1 Added support for new BBC high definition programs. Fixed issue with Five program parsing sometimes hanging. 2.8.0 Added Twitter integration for watched program status updates and group favourites. Added a preference for click speeds. Parsed BBC categories to pick up missing news and sport programs. Added a preference for High Resolution default playback (see instructions for special notes on BBC). Changed the default caching frequency to every 12 hours. Fixed issues with VPN switching to Channel 4. 2.7.1 Switched E4 and More4 to the right country. Fixes full screen click positions when media center is not full screen. 2.7.0 Updated to use new Channel 4 Flash feed. Made Hulu full screen more reliable by waiting 30 seconds. 2.6.7 Changed Hulu code to deal with their new encoding of web pages. Note, this slows it down a fair bit, so UK-only users are advised to do a custom install to turn off US. Made the highlight of watched programs a lot brighter. 2.6.6 Added audio feedback on navigation. Indicate watched episodes with a different colour border. Fixed a problem with Hulu episodes not showing in large categories like Comedy. Stopped erroring out on install on small screens. Always cancel the anti-screen saver code after 3 hours. 2.6.5 Fixed BBC downloads to use the full quality download, not the mobile download. Improved the display of episode summaries. 2.6.4 Fixed an issue which stopped some hulu programs from appearing. Improved sorting of Hulu episodes. 2.6.3 Improved click reliability, even when not full screen, or when running with the TV display mode in media center. Defaulted Five programs to Flash. Note, this means that the older wmv programs cannot go full screen without a mouse. Since these are few and far between and disappearing fast, this shouldn’t be a big issue. 2.6.2 Improved the ability to find the BBC download URL. Changed the default for Five programs to be Flash unless wmv is detected. Fixed the click calculations for some resolutions. 2.6.1 Took out some of the overly clever parts of the BBC integration. When pressing back, it doesn’t attempt to stop the program, so stop the programs playing before you press back. Also detected when the frame has loaded before starting the timer to click play and full screen. 2.6.0 Added beta support for BBC Downloads. 2.5.5 Changed page layout to support smaller resolutions. 2.5.4 Updated for yet more hulu site changes, and added nicer buttons to the pages. 2.5.3 Added remote control for Five flash programs. Added Help page for remote control usage. 2.5.2 Added full remote control support for BBC, BBC Live, BBC Radio and Hulu. When playing BBC programs, it will auto play and auto full screen. You can then press Pause to pause, Play to play again, all without leaving full screen. If you press Stop it will exit full screen and stop playback. Pressing |< will jump back to the start of the program, and pressing >| will swap between high quality and normal resolution. If you open a BBC program which has parental guidance, press the 1 button to click the acknowledgement and play the program. Hulu will auto play when navigating to it. Since it takes a while to load, I don’t automatically go full screen. Press OK to go full screen when it starts playing. Play, Pause, Stop and >| work as with BBC programs. The program will also simulate a small mouse wiggle every 15 minutes while playing flash TV programs to stop screensavers from kicking in. That stops when you press the stop button or exit the page. 2.5.1 Added the ability to use the play, pause and stop buttons on the BBC pages. 2.5.0 Changed BBC pages for new BBC streaming formats. Added new Favourites functionality. This shows the 20 most watched programs. You can override this by pressing * on the remote to add a program to the favourites, or # on the remote to block a program from the favourites. 2.4.2 Added more wmv live streams, and re-added BBC News, which was mistakenly removed. 2.4.1 Added wmv live streams for BBC radio programs wherever possible. Fixed BBC Radio Scotland content to show. Updated for changes in the hulu web site. 2.3.0 Added support for the new flash streams from Five. 2.2.9 Updated to use the new CBBC and CBeebies live streams instead of the old streams shared with BBC Three and BBC Four. 2.2.8 Fixed an error with caching Five which caused the installer to report errors. 2.2.7 Added auto-full screen for Hulu and BBC. Note, the way this works is by simulating a mouse click after 10 seconds on BBC and 30 seconds on Hulu. It has been tested on a few different screen resolutions and works OK, but may not work on all screens. Only works when media center is in full screen. If you see it attempt to click somewhere other than the full screen button then send me a screenshot of the whole desktop, and indicate on it where you believe it is clicking. 2.2.6 Added a preferences page and the ability to enable or disable US and UK content as part of the install process. Taken the Hulu content out of Beta. Still need to add remote control features for it though. At the moment you need to use the mouse with Hulu to make it go full screen. 2.2.4 Beta Improved memory use and performance. Added the ability to ability to automatically switch proxy or VPN server when you change between UK and US. At the moment you need to edit C:ProgramDataMillieSoftTunerFreeMCEpreferences.dat using a text editor, and add in the command you want to run when switching from UK to US. Click here for a step by step guide for UK users. 2.2.3 Beta Added new background images for channels and programs. 2.2.2 Beta Fixed an issue where a program in multiple categories, like 24, would only show some episodes in each one category. Changed hulu to auto play but not be full screen rather than being full screen but not auto playing. 2.2.0 Beta Added support for hulu . Obviously you need to be in the US for this, or have access to a US proxy. This is an early beta, so check out the limitations here . If you are new to TunerFree MCE, check out the instructions , and the FAQ , neither of which I have yet updated to reflect the hulu support or limitations. 2.1.0 Made several minor interface improvements, in particular to program sorting. Updated date reading from Channel 4. Added in-program check for new versions. This will check for an updated file version every time you start the program, and if there is one it will allow you to download it, dismiss the message for a day, or ignore the new version completely. 2.0.2.1-W7 Windows 7 specific version. 2.0.2.1 Fixed an installation bug with clean installs on Vista and Vista/Windows 7 dual boot machines. 2.0.2 Changed the cache process to be a Windows service instead of a scheduled task so that the cache builder window doesn’t open. The installer now builds the cache on screen as part of the installation process so that the cache has built before first use. 2) The icon no longer appears on the TV bar, just in the Extras folder. You can right click to at least add it to the Extras bar though. 3) Only works on dual boot Vista/Windows 7 machines. let me know of any other issues you find. 2.0.1 Added content from BBC Alba, BBC Scotland, BBC Wales and BBC Northern Ireland. 2.0 Brand new UI, with improved navigation. 1.9.4 Improved 64bit compatibility. Note, a false error is reported when uninstalling this version, but it is uninstalled successfully. 1.9.3 Updated for new BBC feed format, and added BBC One and BBC Two to live feeds. 1.9.2 Stopped BBC programs from playing twice when navigating away and back again. 1.9.1 Update for new BBC changes. Play BBC high resolution feeds by default. 1.9 Added an option to view list instead of thumbnails. 1.8.3 Updated software for new BBC server configuration. Added CBBC and CBeebies live streams. 1.8.2 Added live streaming of BBC Three and BBC Four. Fixed a bug where the name of the first program in the list is not displayed at first when you change channel. Added a version number display when running the cache builder. 1.8.1 Reduced the writes to the preferences file. 1.8 Added live streaming of ITV and BBC News. 1.7.4 Fixed an issue with grouping programs causing a crash. 1.7.3 Changed the cache and preferences location so that they are shareable between multiple users. Preferences are no longer in the registry, so you will loose any changes you have made there and will need to recreate them in the preferences file. 1.7.2 Fixed an error with ITV programs sometimes causing errors due to relative URLs. Fixed an issue with new C4 programs not being added. 1.7.1 Stopped Pay Per View content from Five from appearing in the list, since it is not watchable through this interface anyway. Fixed an issue due to BBC web site changes. 1.6.4a Changed installer to work with Media Center TV 2008 Pack (Fiji). 1.6.4 Fixed bugs with not all BBC programs being added, and errors when searching but not finding any programs. 1.6.3 When not in full screen, the remote can also skip forward and back 30 seconds, and the stop button will play and pause. Compatibility with new BBC higher resolution feeds. Added executables to enable and disable both online and offline caching. 1.5.3 Added the ability to navigate to a program by pressing letters on the remote, e.g. press 4 to navigate to the first program beginning with G.
Added registry options to change the behaviour. 1.2 Cleaned up the rendering. Note, if you turn on favorites functionality, the list of programs you watch will be sent to our servers. No personal data is sent. We cannot identify you in any way from this data. This data is just used to find which programs are most popular. You can turn off this functionality at any time in the preferences screen by turning off favorites.